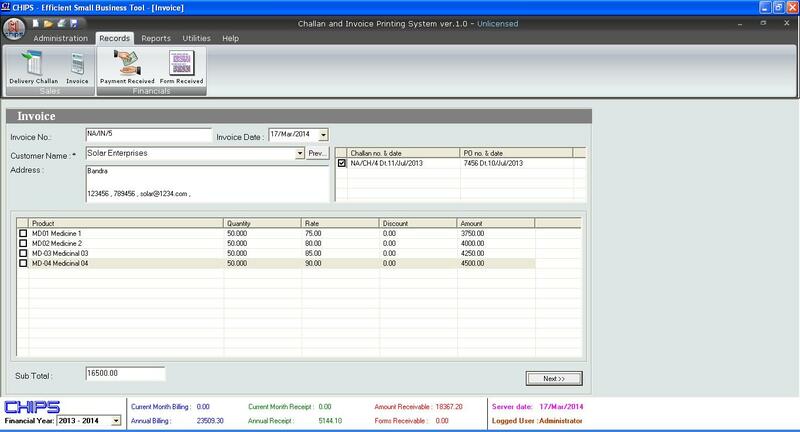 Challan & Invoice Printing System (CHIPS) is a perfect software suitable for small business organizations or dealers or traders involved in trading of any kind of products. Products can be Medicines, Electrical/Electronic Items, Automotive, Home Furnishing and so on. 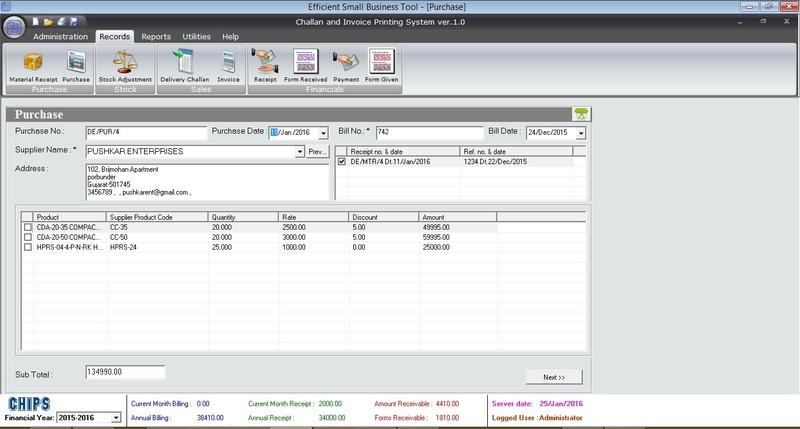 It can efficiently keep track of all Purchase and Sales and all Receipt and Payment transactions on day to day basis within financial periods generating all the required monthly MIS reports quickly. CHIPS can be configured for use in multi user environment also with distinct login credentials for every staff. 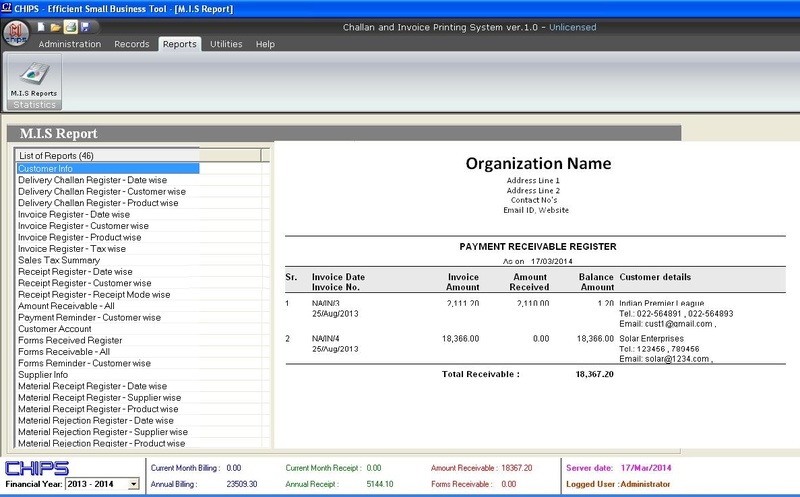 You can even configure your multiple organizations with their own set of master data. CHIPS is extremely easy to use. Main window of software is divided into four sections. 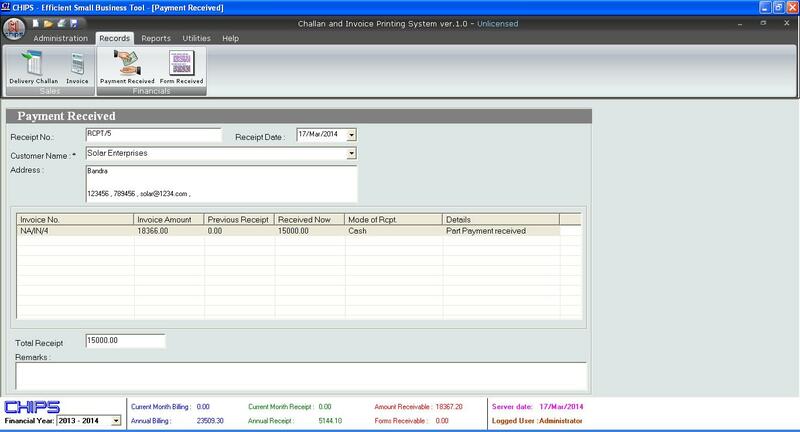 Administration , Records , Reports, Utilities that perform all the required tasks grouped under them. How To : Guide for Installing and running CHIPS.